Elizabeth is available for events and services up to 150 miles outside of Los Angeles. She has a master’s degree in harp performance and over 10 years of experience playing for weddings, funerals, church services, bat/bar mitzvahs, garden parties, dinner parties, you name it. She plays all styles of music, including pop, jazz, classical, and Broadway. She also take all special requests and will do everything she can to honor them. 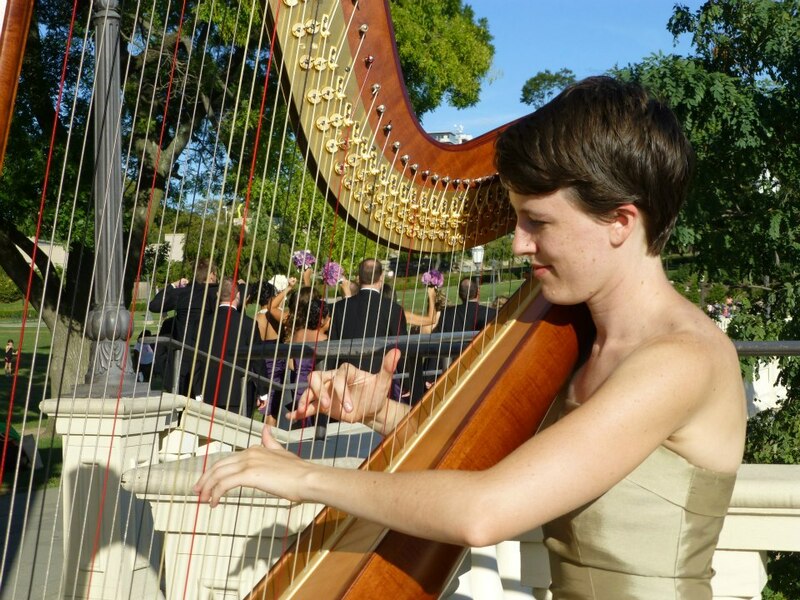 Let the beauty of the harp make your event unforgettable! Contact her at ehharpist@gmail.com for rates and availability. See below for photos and sound samples.